Sometimes you cannot help. Words are not enough. There’s nothing that can be done. Nothing that you can do. My cousin’s little baby girl would have been celebrating her first birthday a few weeks ago. Had she lived longer than eight days. A dear friend lost her husband of two-and-a-half weeks at the start of the year. He was 40. All I could do was bake, bake with my heart full and eyes brimming. Bake with love, with thought, with hands that know no other way to help. Weigh and mix ingredients. Zest lemons for life, fold in poppy seeds for comfort, chop rosemary for remembrance. 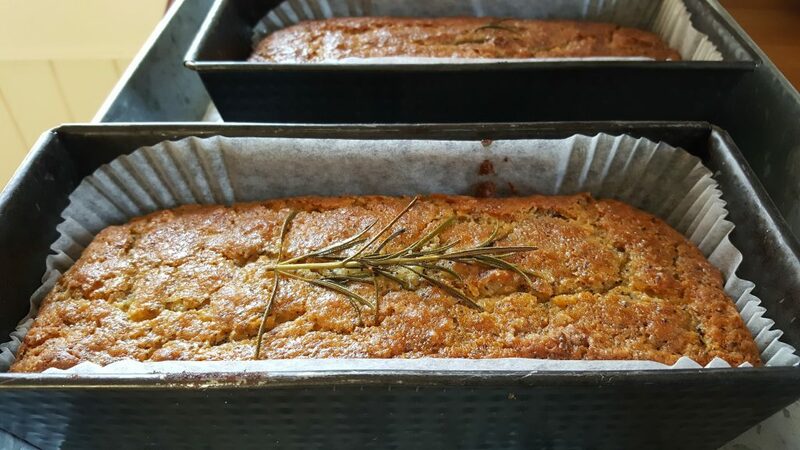 Bake a Lemon, Poppy Seed and Rosemary Loaf. This is a very good humoured cake, easy and consoling to make amidst mad times. Haven’t got any poppy seeds? It’s good without. Use all plain flour or caster sugar, rather than the mixtures specified below, if that’s what you have in the house. It makes two small loaves but feel free to bake it in a large (900g) loaf tin if that’s what you prefer, baking it for slightly longer. It’s also an easy cake to double or bake in a sheet pan, depending on what you need it for. 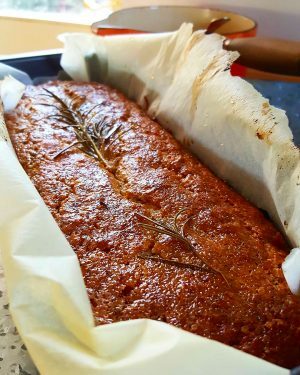 You will taste the olive oil in the finished cake so bear that in mind when you’re choosing what oil to use. Makes 2 x 450g loaves. Grease and line 2 x 450g loaf tins. Preheat the oven to 170°C. In a large bowl, whisk the poppy seeds with the yoghurt. Set aside for a few minutes, then add the sugars, eggs, oil, vanilla, rosemary and lemon zest. Mix well. Sift the flours, baking powder, bread soda and salt into a medium bowl. Tip into the yoghurt bowl and combine with a wooden spoon. Scrape into the prepared tins and place the sprigs of rosemary on top, pushing them lightly into the batter. Bake for 45-50 minutes, or until a cake tester comes out clean. Meanwhile, place the caster sugar and lemon juice for the glaze into a small saucepan. Stir over a medium heat until the sugar is dissolved then bring to the boil and simmer for a couple of minutes. Drizzle the hot syrup over the cake. Leave on a wire rack to cool. In memory of Alicia (2016-2016) and Colin (1976-2017).